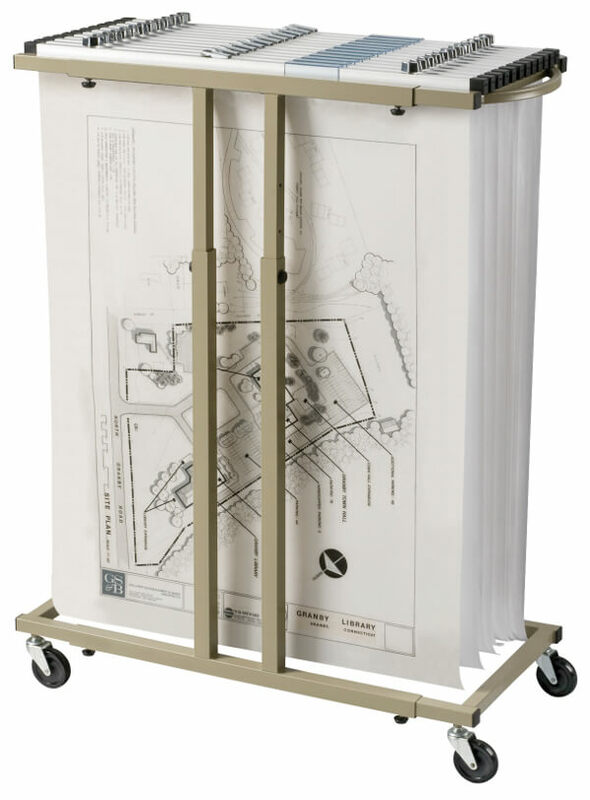 The Alvin Mobile Blueprint Rack BPR059 is a mobile , well-built space-saving vertical filing system that allows convenient access to hundreds of active documents, blueprints, and project files. 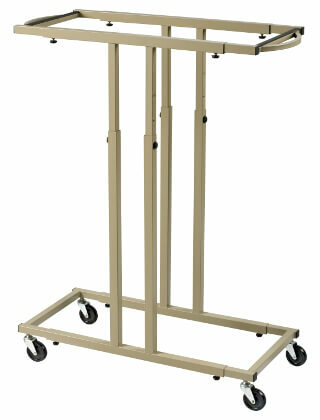 Built in handles on each end make moving the stand around in the office easy. 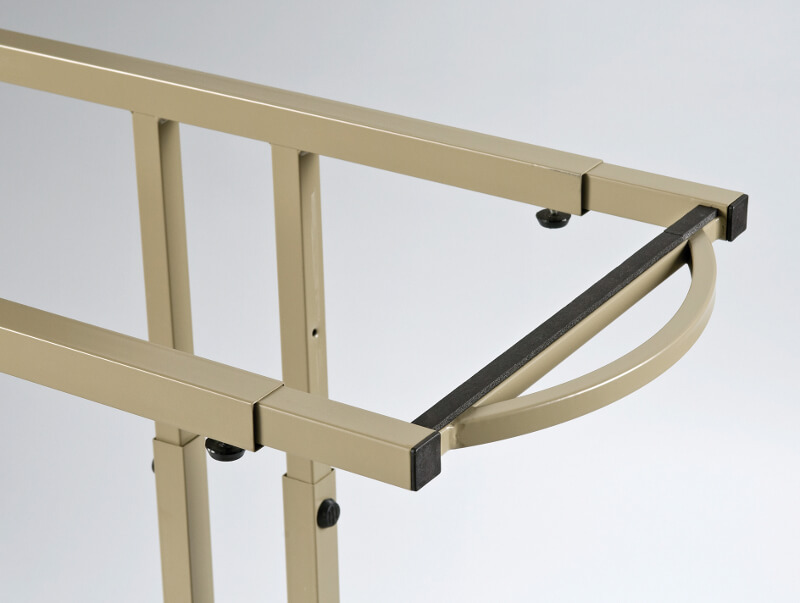 Sturdy steel frames adjust to the length and width of the documents being stored. Blueprint clamps (sold separately) are suspended between support bars at each end. Fits clamp sizes 24", 30", or 36"